Reeltime posts are not regular reviews but real-time commentary posted whilst watching the film. You can follow live or read the archived post at the end. John William’s mysterious theme over the WB logo is a great start. Introducing key characters through their personal styles of magic is a nice touch. Flying motorbike in particular, obviously. So I actually saw this in the cinema in 2001 for my sister’s birthday. So she might well have been jealous of all these birthday presents. Sixteen years ago I didn’t have beer. Now I do. So by that metric I’d say the film’s aged pretty well. Wait, so the snake can read English? Ah some classic Daniel Radcliffe acting with the nervous swallow and sullen look. I think it’s fine to make fun of child actors once you know they turn out fine, right? I mean, I assume Rupert Grint is still around somewhere, right? This seems like a rather brute force approach if you’re using, you know, magic. Isn’t there a more precision method than carpet bombing a family with a dead forest of letters? Watching now I have some sympathy for Mr Dursley. He’s willing to move his entire family to protect Harry from a world he thinks killed Harry’s parents and actually stands off against Hagrid. Brave guy. “Yer a wizard, ‘arry!” That is the best line in this film, isn’t it? “Muggle” is really going to annoy me as well. The “good guys” are some of the worst snobs in this franchise. If the Dursleys are Harry’s guardians then this is a kidnapping. So, if they’re happy kidnapping him now, wouldn’t it have saved everyone a lot of angst if they’d just kept him in the first place? Diagon Alley is still one of coolest ideas, if very Neverwhere. Hagrid just described Hogwarts as even safer than Gringots, which seems like further justification for keeping Harry there. This seems like a really expensive method of wand selection. Wouldn’t a separate room result in less breakage? Not quite as impressive a scene for wand foreshadowing I suppose. The magic effects are pretty awful so far. It really made me appreciate the subtlety of the Lord of the Rings’ magic effects. Even the Weasleys are badmouthing Muggles which seems particularly weird. I remember the Hogwarts Express being my favourite shot of the film. I know these child actors will improve as the franchise goes on but I’d forgotten how painful it was at the start. Ugh, the Hogwarts arrival is horribly shot. “Malfoy. Draco Malfoy.” Ah, so he’s the MI6 agent. That’s a much better visual. I get that Americans love this for all the robes and old buildings but, having gone to an English private school, it just looks like a school. Well that cameo felt incredibly forced. Straight through the table. Oh I actually recognise some of these corridors from Gloucester Cathedral! So far I think Chris Columbus’ stilted direction actually has a lot more to answer for than the kids’ acting. Alan Rickman makes up for a lot. Which then makes me sad. It’s already clear that health and safety is atrocious here, one day into term. How to they get insurance? Or pass Ofsted? I mean, at least The Worst Witch recognised that Ofwitch inspections were a hurdle. “What do they think they’re doing?! Keeping a thing like that. Locked up in a school.” Ron’s the only one who’s noticed this is utterly negligent. The Chasers handle the Quaffle. He’s just a pick-up artist, isn’t he? His name is even Wood. “It’s levi-oh-sa, not levi-oh-sa.” Classic Hermione. And now they have a troll loose. Thank God someone can take control. Although they still didn’t actually find the troll until three kids got into a fight with it and accidentally took it out. Oh, and apparently they award house points for “dumb luck”. Remember when having “thousand” in a name made it really cool. At least it was in the nineties. Hadn’t it stopped being cool by the time this film came out? Quidditch does look very cool even if the point scoring around the Snitch makes most of the game pretty redundant. I remember my sister coming into my room when I was playing the Star Wars Episode I soundtrack and asking why I was playing the Harry Potter soundtrack. It wasn’t just that they were both John Williams, but that I was listening to the podracing flag parade which mirrors the Quidditch opening. There are a lot of structural parallels with those two key scenes. This jostling shot is basically podracing. I’d make fun of Harry’s use of the invisibility cloak but I’m actually pretty jealous of the idea of getting to hang out in that library all Christmas. This may be the most relatable moment in the film. These days Dumbledore’s intervention would have been about mindfulness and the importance of being present in the moment. I’ll take the mirror thanks. 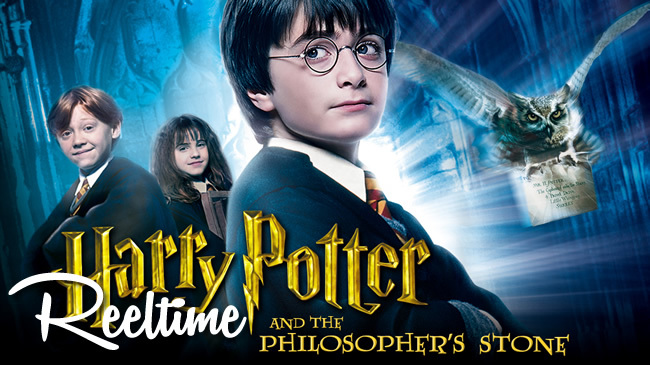 I still cannot understand the American name change given that the Philosopher’s Stone isn’t something Rowling came up with. Oh right, Draco thinks they can’t go into a forest because that would be too dangerous. The school being so dedicated to student safety thus far. “I’ll fight you.” Go Neville. Did they keep Fluffy’s only weakness in the same room that he’s guarding? Or did someone decide surreptitiously to bring a gigantic harp on his break-in instead of, say, a music box?! 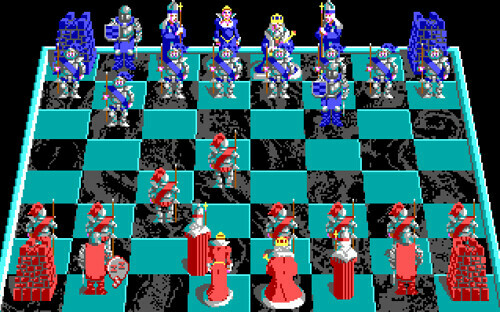 You can keep calling it Wizard’s Chess, but we all know it’s Battle Chess. I do respect a story that goes for a climactic chess battle though. Yeah this is a weird way to have a conversation. How many house points do you get for murdering a teacher? I do like how freely Harry uses Voldemort’s name throughout the whole film despite others’ apprehension. Brave or foolhardy, but a nice touch. That grin. Did they still think Hermione and Harry would end up together at this point? There was overlap between the books and films, I think. I feel like the whole of Year 1 basically vindicated Mr Dursley. Even though Harry wasn’t even a blood relative, he wanted to protect him from a horrifically dangerous school run by grossly negligent teaching staff that ultimately almost resulted in Harry’s death. Pretty harsh on Slytherin. But I guess Snape isn’t eligible for house points despite being only halfway competent person on staff other than Filch. As a closing shot, I guess it shows they know who the best character was. No, not Hagrid, the Express. Well that’s a wrap on Year 1. Given all the amazing adult acting talent I’m really looking forward to the director change once we get to Year 3. As well as the kids obviously improving as the franchise goes on. When fans rewatch the films, do they actually start at the beginning or halfway through? I can’t imagine feeling the need to watch this one again.